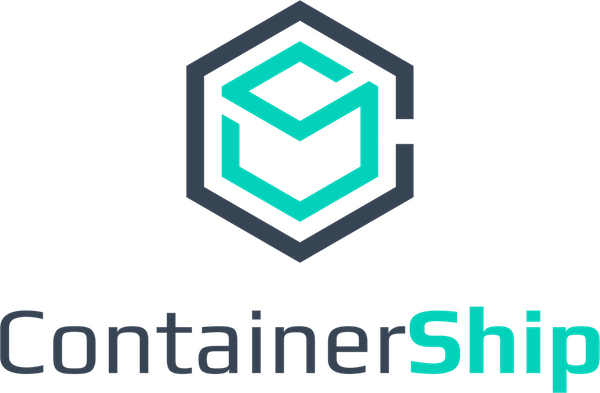 Containership is hosted service that promises a "single pane of glass for all of your infrastructure needs." 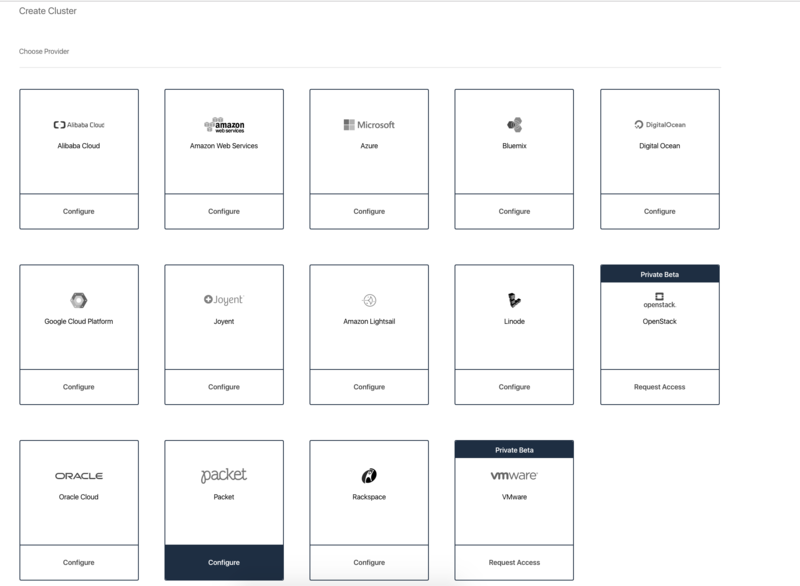 Deploy, scale, and manage your apps instantly, anywhere. ContainerShip gives you the simplicity & scalability of a PaaS while running on Packet deployment. With built-in load balancing, service discovery, snapshots, volume management, 50+ marketplace applications, and more, ContainerShip makes environment management and scaling easier than ever before. Containership account (sign up here). Your Packet API Key (create one here). You should also be sure to add your SSH key to your Packet account. ️ A GitHub or BitBucket account required to create a Containership account. 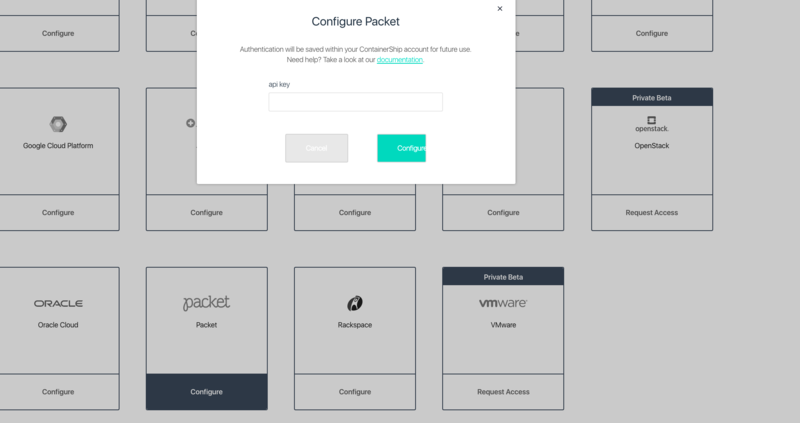 Once logged into your Containership account, click 'Create Cluster' then choose Packet as your provider. Choose your region & upon region selection, choose which project. Fill in the options: project name, OS (by default it's Ubuntu) & SSH key. Select the leader and follower instances, and how many of each.